Click here to see the photo slide show. The Michael Cascio Orchestra performs at Navy Pier Chicago Crystal Ball Room for Accenture US Events/American Express, Milestone Gala Event! UpBeat's Chicago R&B Machine gets overwhelming response from the audience and media for it's July 4 Taste of Chicago performance! The Michael Cascio Jazz Trio performs for corporate events, clubs and festivals across Chicago land! 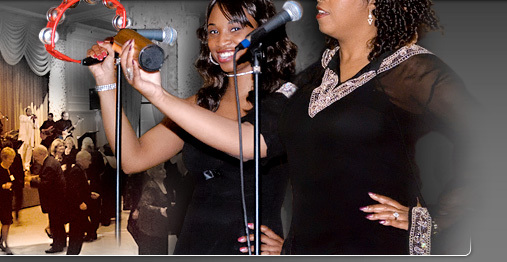 The Blues Trio performs for corporate events, clubs and festivals across Chicago land! The UpBeat Band performs at the Seville for Harris Bank's annual Holiday Party!